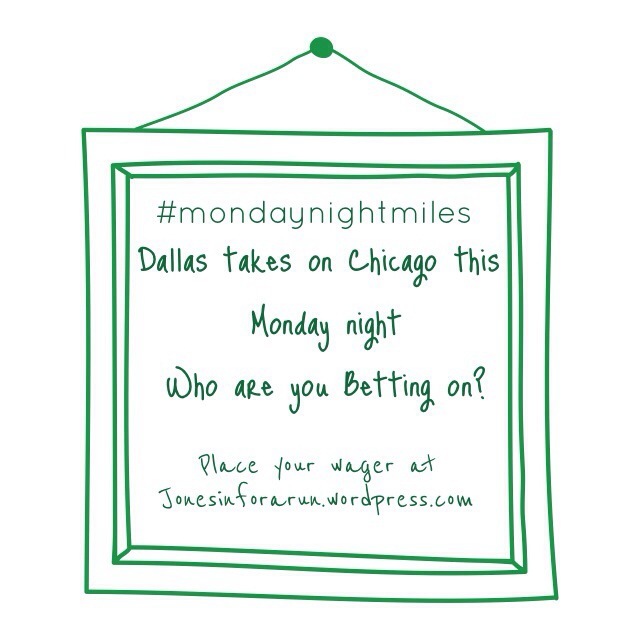 A new week is here which means it is time for another edition of #mondaynightmiles. I am not sure if it was lack of interest in the two teams or too much turkey but only a few of us picked our team (Seahawks) and we all picked right! I still did a 5 mile run to complete the Fall 5 or 10 series that mommy run fast puts on! I can proudly say I completed the challenge and even ordered myself a medal! Now I just need to win a medal rack- hint,hint pavementrunner. Anyway back to this week- we have Dallas taking on the Bears. I am picking da bears! How about you?? Get your pick in and get your friend to pick too! Everyone likes a little friendly competition right? !